Okeedoke, I finished re-emphasizing some of the black lines. Much improved, but I'd like to not have to do that again! Once I have color on there I don't like putting black ink on it again... (I'm still working on that lion, wait til you see that, it's not "correctly" done but it's sort of interesting). 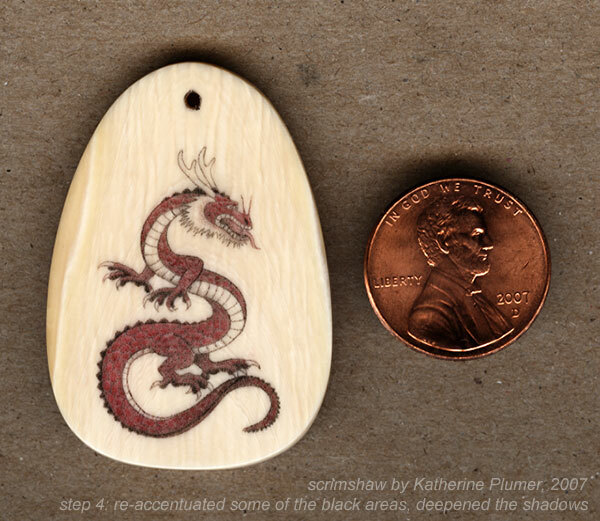 So... one more color to go on this dragon...another day or two I'm guessing.